BRYAN EATON/Staff photo. 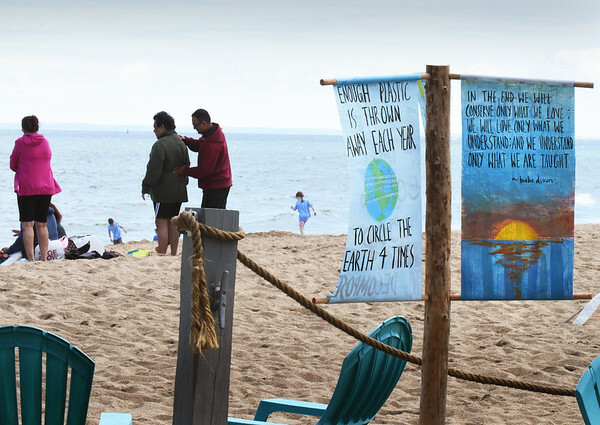 Three students at Newburyport High School, Rob Johnston, Bailey Fogel and Jack Reeves, created a flag of recycled materials to promote keeping beaches and oceans clean for an end of the year AP environmental class stewardship project. Most of the materials were re-purposed and the flags are hanging outside the Groudswell Surf Cafe at Salisbury Beach.